Flamenco Las Ramblas is located a few steps from Las Ramblas and Plaza Real in the old town of Barcelona. The venue occupies the spot where El Charco de la Pava was once located, a very popular flamenco tavern during the 1940s and 1950s. Flamenco Las Ramblas offers a one-hour flamenco show which features five to six performers. 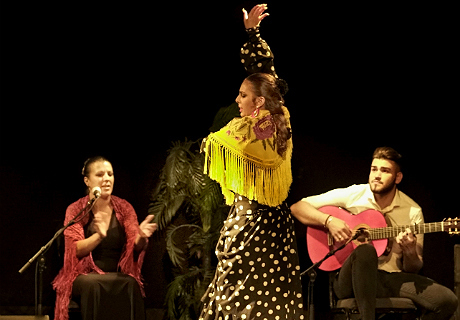 The show is a genuine flamenco experience in a very intimate tablao, where you can feel the vibration from the dancers in the live music performance. 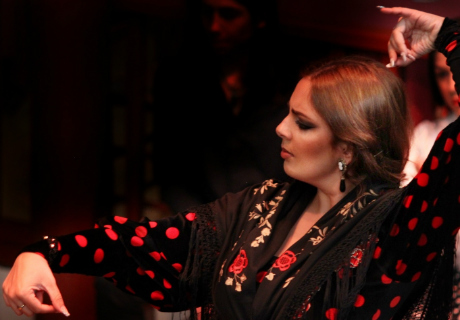 Flamenco has a long tradition in Barcelona, centuries ago many Andalusian families came to Catalunya to look for a better life and they continued to perform flamenco not only in the streets and in bars, but in venues dedicated to this beautiful art form. At one time the flamenco tavern El Charco de la Pava occupied the same building as Flamenco Las Ramblas. The interior had a singular structure as it represented a bullring. Another curious detail was a plaque in memory of Manolete, located in the exact place that the popular bullfighter had occupied in his last visit to the premises. Fine sherry and Andalusian wines were served with large olives, the house specialty. The history of this venue is strongly linked to that of the Catalan rumba. Here El Legañas (Antonio Gonzalez, father) and El Pescailla (Antonio Gonzalez, son, husband of Lola Flores) performed with their guitars the rhythmic pattern, also known as “the fan”, which defines the Catalan rumba. 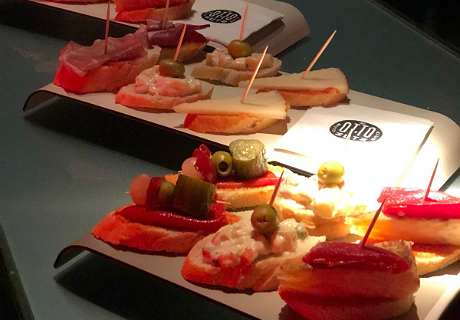 The father of El Pescailla had arrived in Barcelona at the beginning of the century from Murcia and settled in Gracia, where every morning he went to Barceloneta to sell fish, hence his artistic name. 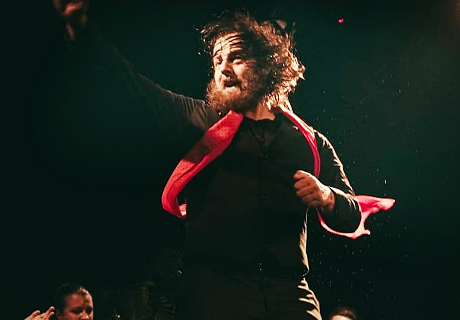 Both father and son were the hosts of the nights in the Charco de la Pava, now Flamenco Las Ramblas. Dinner times: The dinner service starts with the show.